Last edited by Brucy; 01-03-19, 15:07. 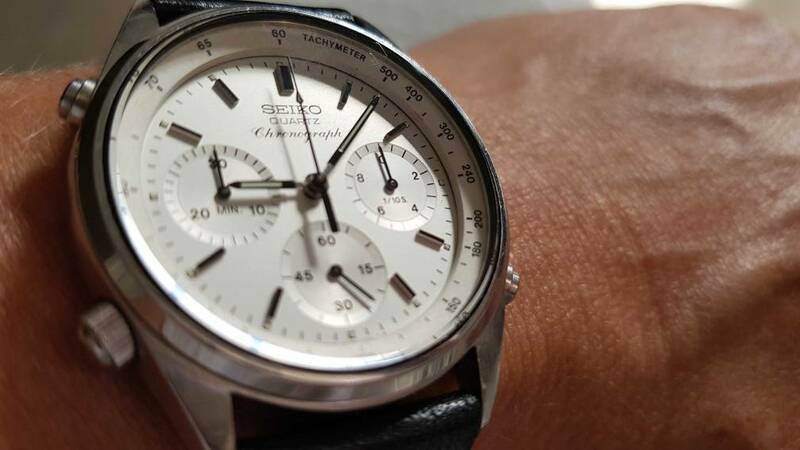 Bond Seiko for me today 7a28 7020 from the movie A View to a Kill. I'm of the generation who's Bond is Roger Moore. Pre OMEGA, post ROLEX Bond. Originally released on a crappy bracelet I wish I had, instead it's on a seiko calf strap. Ha Ha...I reckon Bond always like a bit of hair pulling with his friskyness, especially in the 80's. Thanks for the vote of confidence in my strap choice though Don, I guess its proof some of us old whores get it right evry now'n'then. Nice mod there! I think the SNK809 has a unique appeal. 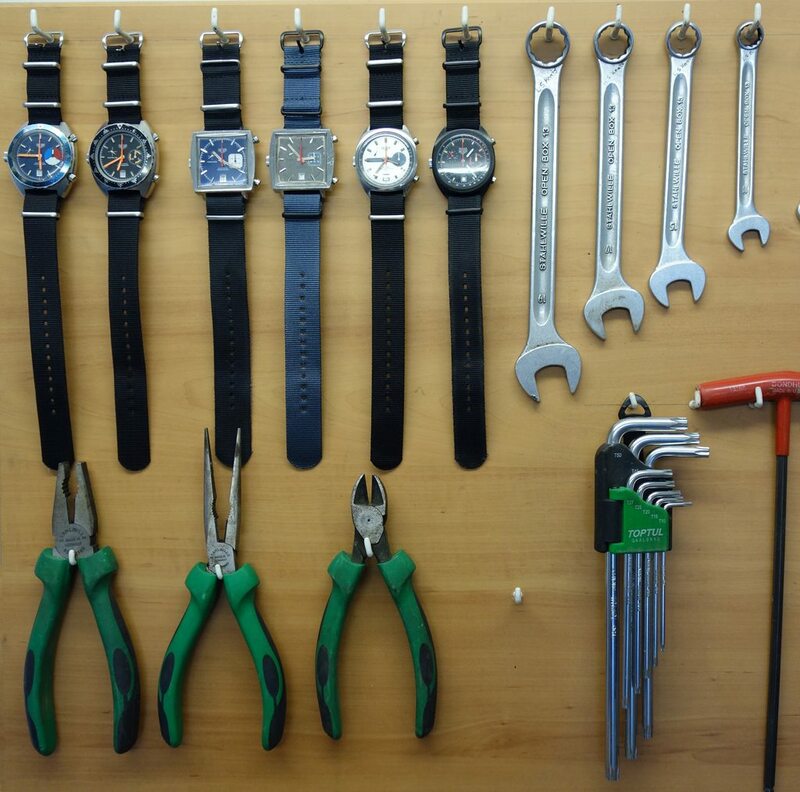 Its design is clearly military/Flieger inspired, but different enough to not be mistaken for another Mil-theme watch. You can spot a SNK809 from a few meters away and know its a Seiko, which is something you don't get even with, say, a Hamilton Khaki. 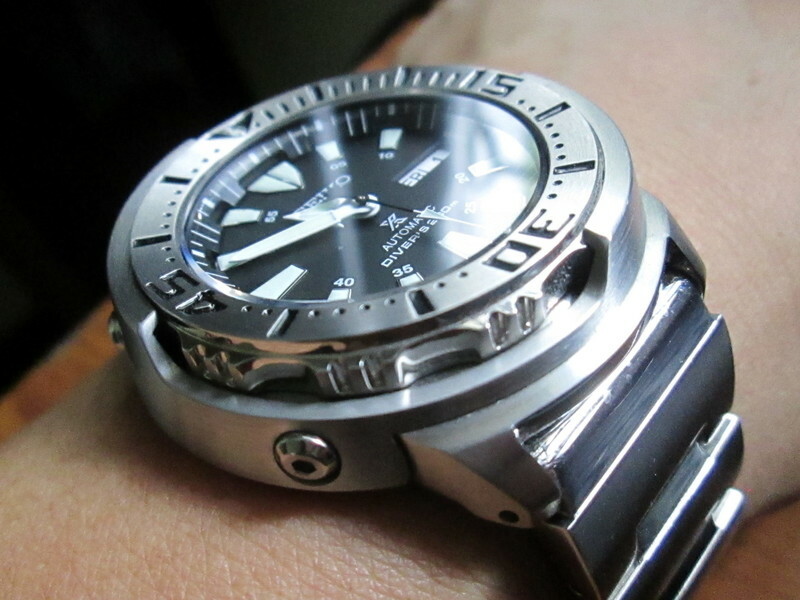 Seiko Monster. Surely would be high up in a list of '100 watches to own in a lifetime'. wonder if such a list exists? ...except that is NOT a Monster! ...at least no ordinary Monster I've never handled the 6R15-equipped JDM SBDC025, but can only imagine it being all the sweet awesomeness of the original SKX779, but built to Sumo quality standards.... Re "list", maybe we can make one here on Timekeeper? Home time. Have a great weekend all. I think you’ve had a great idea for a new thread!!! Hmm - really need for it to be able to be editable so we can vote or keep a running tab. Be interesting to see what we came up with - will give it a first start over the weekend! Not at all... that's a very creative shot for WAYWOF! Explorer for me for the last two weeks in fact. Such a difficult watch to leave in the box. Wow, nice wrist kid team!! All times are GMT+12. This page was generated at 14:54.